Each Suja Elements juice is packed with vital nutrients your body needs, like amino acids, antioxidants, proteins, and omegas. All of our juices are cold pressed, never heated, and High Pressure Processed (HPP) to preserve the freshness. These epically refreshing juices have about 20% less sugar than leading brands and no added “natural” flavors, colors or preservatives. We have nothing to hide, what you get is what you see! 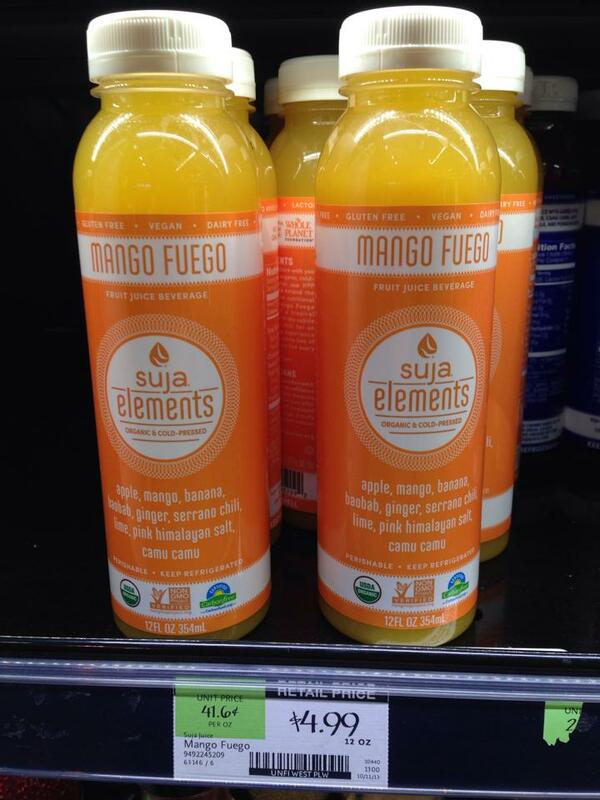 Choosing a refreshment has never been easier, Suja Elements is organic cold pressed juice for the greater good! 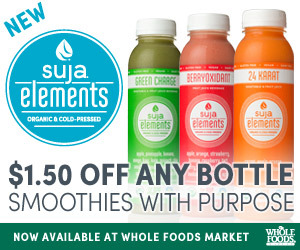 There is a new printable coupon for $1.50/1 Suja Organic Juice. If you print while it's still available and take it to Whole Foods, they have a 4-pack for $4.99 which will make your final price $.87 per bottle for organic juice!